Your computers and data rooms are a fire hazard to begin with. Computers and data rooms need very good ventilation because they can get very hot. The NFPA has specific regulations for computer rooms and electronic equipment areas, because there is a greater risk of fire from electronics. Your business has a lot to lose from fire damage to electronics. Not only could you lose your equipment, but you could lose crucial data and online business. You could lose millions, literally, in the blink of an eye if a fire rips through the room that stores your equipment. You won’t have to get soaked with a clean agent. When the system is activated, Halon 1301, a gaseous fire extinguishant, is released into the room. Halon fills the room and extinguishes the fire, but does not leave any residue on surfaces in the room. No mess to clean up afterward… the gas will evaporate and the room will be unharmed. Because clean agents work by removing oxygen from the room, this kind of suppression system does post some danger to humans. Clean agents are great for rooms that are filled with servers and computers, but not people. There is a risk of suffocation if people are trapped in the room in an emergency situation. The pros of a clean agent system are many to those areas of your business that require an alternative to sprinklers. 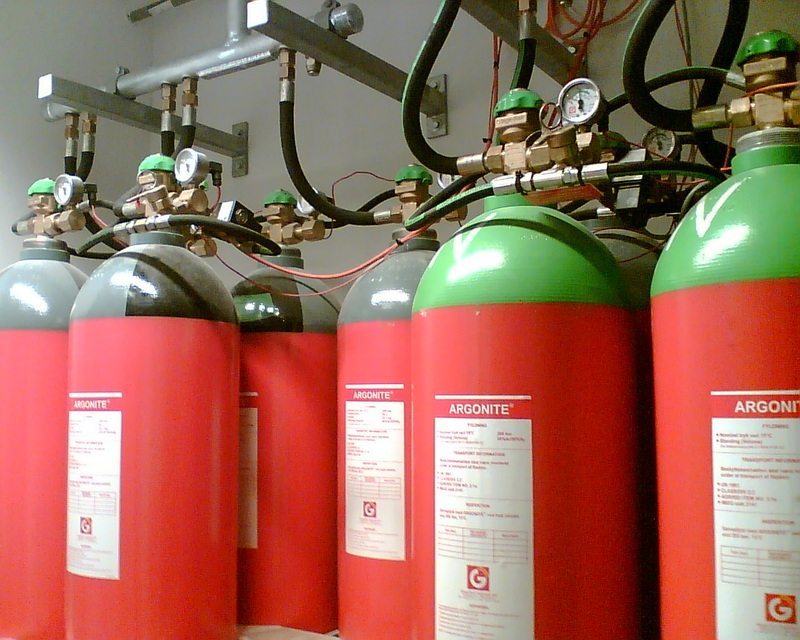 At Total Fire & Safety, we are experts in the installation and maintenance of clean agent suppression systems for businesses. If you are considering an installation, contact us at 630-960-5060.